Beam is 4” x 4” square steel tubing covered with synthetic track material. Base legs have spring loaded tops for easy adjustability between three heights: 30”, 33”, and 36”. 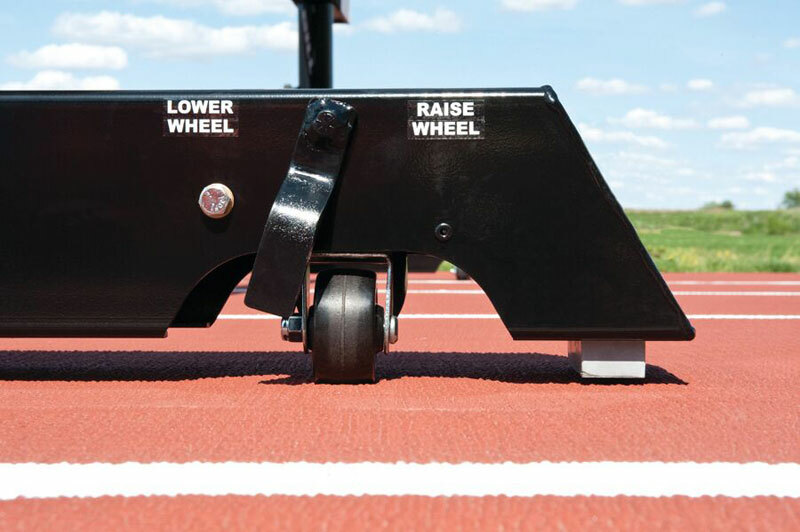 All 4 corners are equipped with 4” wheels that swivel 360 degrees. Powder coated for a durable finish. 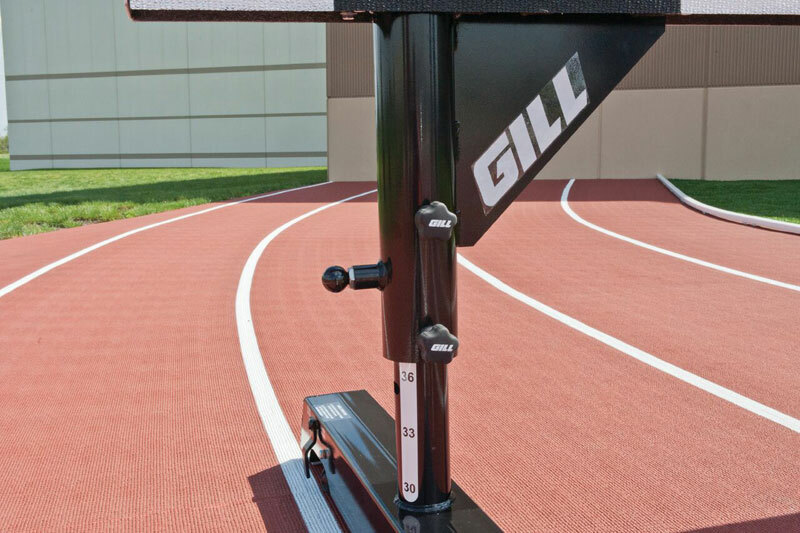 Meets NCAA specifications and is IAAF certified. FREIGHT IS ABOUT $110 PER HURDLE. WE WILL ADD THIS TO THE ORDER. Wheeled Version: Wheels easily set and retract with a finger lever and lift on each end. The most maneuverable barrier available. Updated pull pin design makes this the easiest steeple barrier to set the height. Welded gusset improves strength support of the beam. 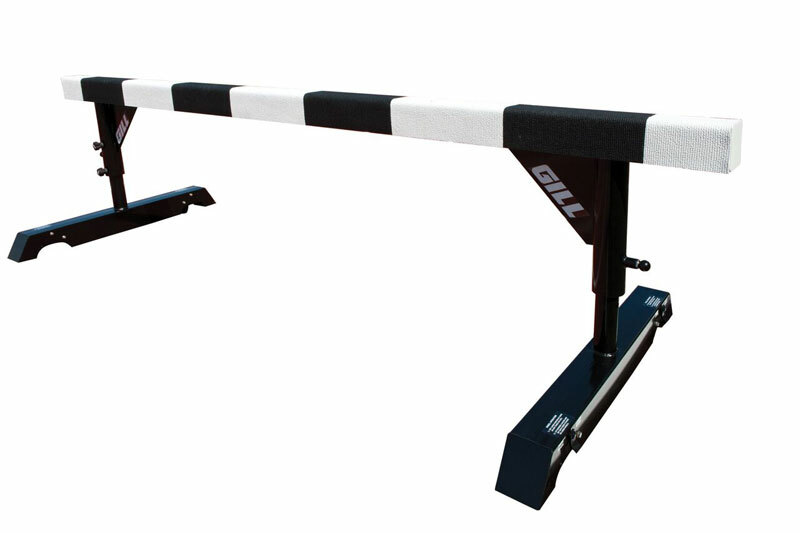 This is the last steeple barrier you’ll need to buy. Adjusts to three heights: 30”, 33”, and 36”. Meets NCAA specifications. IAAF certified. 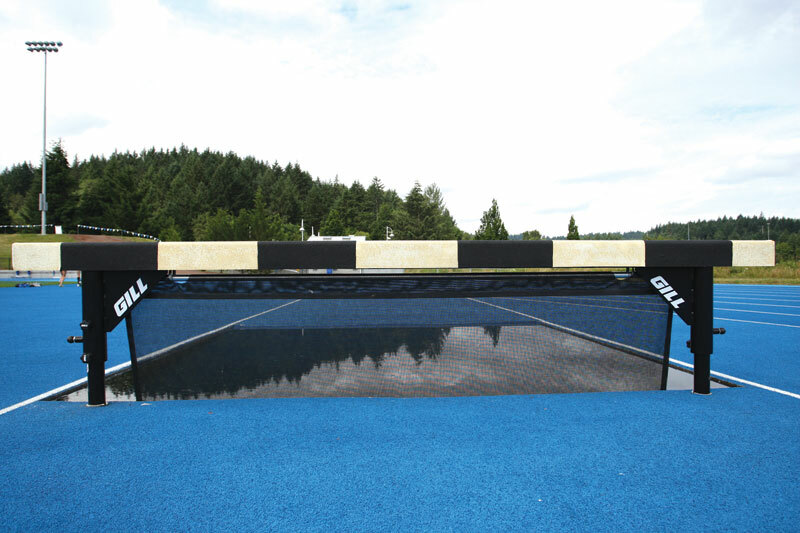 These barriers provide an immovable hurdle for the water jump. Both have a pull pin design for easy height adjustablility. The 740134 includes ground sleeves for in ground installation and is compatible with our F510 water jump form. The 740144 includes mounting plates for surface anchoring and is compatible with our F500 water jump form. 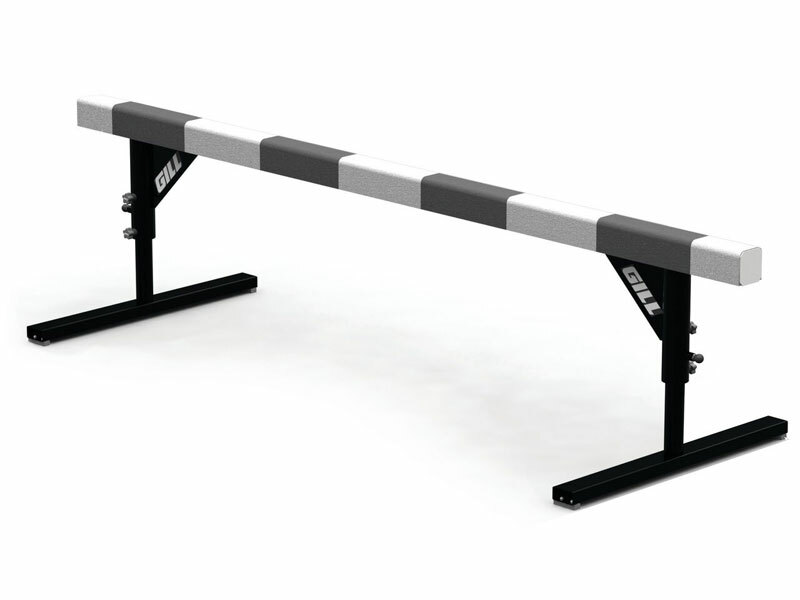 Don’t add weight to the steeplechase water beam with expensive steel or aluminum water jump seals. Mesh water jump seals allow for your choice of color and easier (lighter) use. Barrier Seals sold separate and also available in aluminum.